I am excited to say that Villain Month is a thing of the past and that this week marks the return to the DC we know and love. In addition, Matt Kindt takes a stab at Spider-Man, Andy Diggle brings us a Captain America arc, and issue #3 of Trillium drops. It feels good to be reading comics in October. Trillium #3 - We start issue #3 with Nika in quarantine after consuming the trillium flower and venturing into the past. When she comes to she learns that Pohl is moving forward with an all out attack on the Atabithian folk in order to extract the trillium in order to fend off the Caul. Lemire engages the reader in a playful manner again as you have to flip the comic upside down to catch up with Billy. The drama is intense in this issue as Clayton tries to get Billy to return home and Nike attempts to flee so she can warn the Atabithian about the invasion. It all comes to a boil when Clayton uses dynamite to blow a hole in the temple at the same time the Pohl fleet arrives to extract the trillium. Issue 4 has been dubbed "The end of the universe" so I can't imagine things will slow down. Lemire remains unique in his ability to create emotional bonds between his characters and the reader in his character renderings. Nike and Billy simply draw you in every time you peer into their eyes. It is almost like you know them and empathize with them by looking at a single panel. Great, great series. Captain America: Living Legend #1 - I was very excited to learn that Andy Diggle would be penning an arc of Captain America. One of my favorite men in tights, I have struggled getting into the current Captain America relaunch. This, on the other hand, is a return to class Captain America. 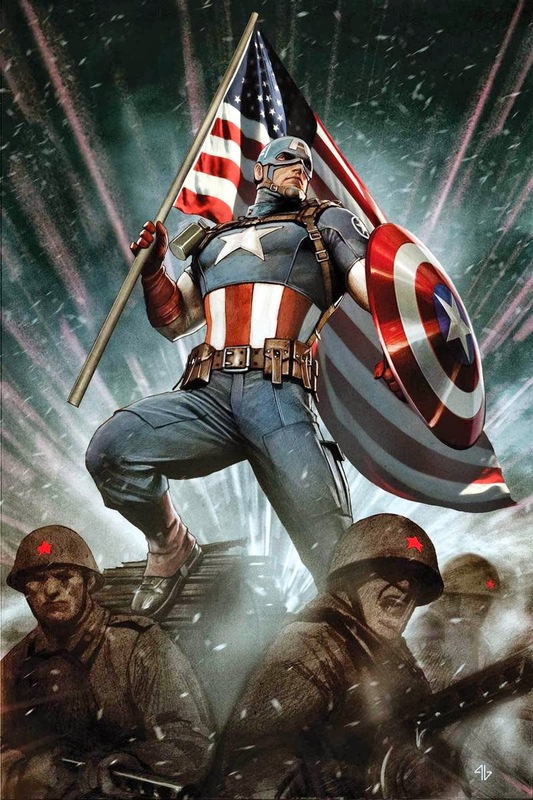 With flashbacks to WWII, nods to the space race, and a mysterious Russian soldier named Volkov, it has a Brubaker feel to it that I gladly welcome. Definitely on board for this one. 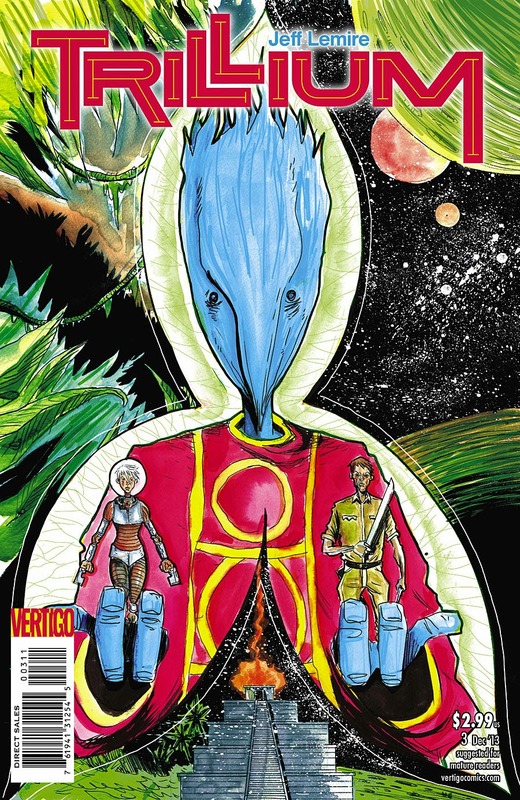 Marvel Knights: Spider-Man #1 - Matt Kindt delivers one of the most trippy comic books I have read in some time. The art from Marco Rudy is simply stunning and does an amazing job keeping up with the drug induced story. Spider-Man ventures into a haunted house for a photo shoot and is greeted by Madame Web. From what I gather, it was a little confusing with all the hallucinating and flashbacks, Spidey has to take down 99 bad guys in order to survive. Possibly all of them while suffering the effects of Jack O' Lanterns's poison gas. It's Matt Kindt and Spider-Man so I will check out issue #2. 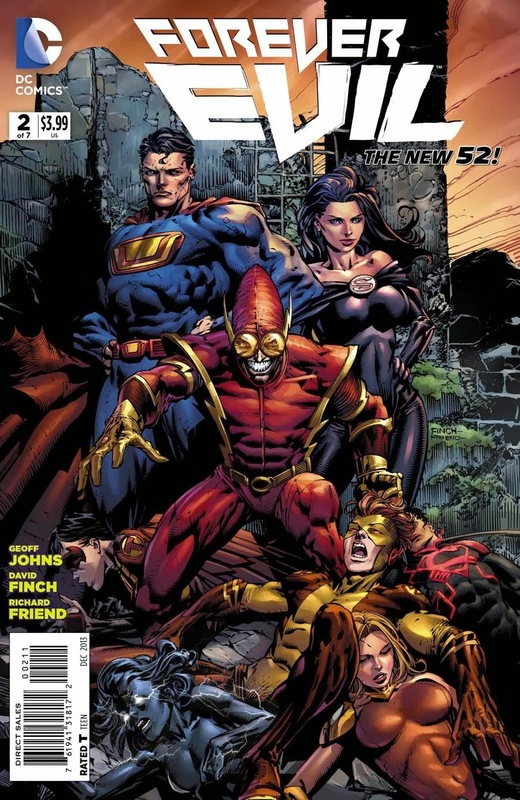 Forever Evil #2 - Ultraman and the Injustice League continue to wreak total havoc on earth. To be more precise, they are plotting while the super villains are taking advantage of the supposed death of the Justice League to break stuff and hurt people. I enjoyed seeing Robin step up and attempt to lead the Teen Titans in the absence of the Justice League, but these mega-events all seem to blur together. All hope looks lost and then something amazing happens. Not thinking I will continue this one. Earth 2 #16 - In his final issue, James Robinson unleashes Apokolips' stranded forces in a battle that is sure to end Steppenwolf. I have not kept up with this series, but apparently the twist at the end of the issue is of epic proportion and may present a problem to the new creative team taking the helm. This is a series I have always wanted to go back and read. From the reviews I have read on this issue, that time might be soon.